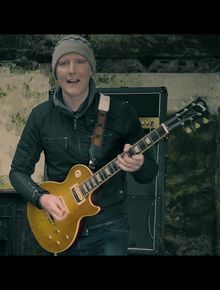 A native of Castleblayney Co Monaghan Ireland, Jim McHugh has just released his debut solo album entitled 'Noise Machine' and released the first single 'Sweet Surrender' with an animated video. Jim McHugh's music is rooted in the worlds of Atmospheric Folk and Melodic Indie. The roots of this original music stretch back to Jim's time performing and writing for many years with his band The Mandalas, previously known as Unaware. In late 2016, Jim drew on his musical past and more recent experiences to put together an album of 12 new songs. The songs flow through Indie and Up-Tempo Folk Rock to slower heart wrenching ballads. The 12-track album has its launch in 2017 and features McHugh on vocals/guitars/piano. He has also enlisted his old band mate and friend James ‘Butch’McNeill on drums and former Speedking bass player Paul McCabe. The album was co-produced, mixed and mastered by the singer/songwriter Ben Reel at his new studio in Armagh.